Astoria examines the transitory physical world of the body and reflects on the seamless quality of the present moment. Surrounded by the rush and noise of trains, highways, and grocery store checkout lines, the narrator of these poems creates an intimate space in which to ponder the ephemeral nature of everyday things and the deeper meanings that might underlie them all. ""It is amazing / we're not more amazed,"" one poem muses, ""The world / is here / and then it is gone."" The poems in ""Astoria"" unravel the hidden within the obvious, and speak to our innate questions of longing purpose, and existence. Buy Astoria by Malena Morling from Australia's Online Independent Bookstore, Boomerang Books. MALENA MORLING, assistant professor of creative writing at the University of North Carolina, Wilmington, is the author of Ocean Avenue, selected by Philip Levine for the New Issues Poetry Prize. 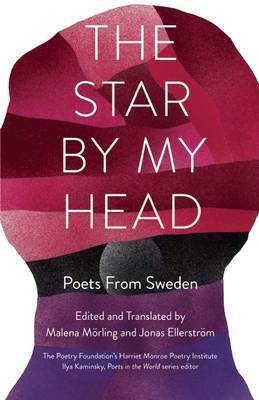 She has translated works by the Swedish poet Tomas Transtromer, a selection of which appears in the collection, For the Living and the Dead. Her work has appeared in numerous publications including the New York Times Book Review, New Republic, Washington Post Book World, Ploughshares, New England Review, and Five Points.